Non-Bank Mortgages – what’s it all about? Sometimes the Banks simply can’t help, that’s where we come into the picture. Providing strategic funding solutions in the private lending sector, Easy Settle Finance is a diversified Australian finance company. The loans are funded by either our own funds or directly from our exclusive private investors. Easy Settle Finance is a provider and facilitator of Private First Mortgages, Private Second Mortgages, Caveat Loans and Short Term Funding Solutions. At Easy Settle Finance our experienced team can provide tailored funding solutions to suit yours or your client’s needs. If the banks have said no, our team can assist, or, if you are just looking for a home loan without the red tape and on-going fees our team can tailor a solution to suit you. What loan purposes are okay? The loan can be for Business or Consumer purposes. We can assist with both. Both Borrowers and Brokers are welcome from all states. View our loan products by clicking on the below. 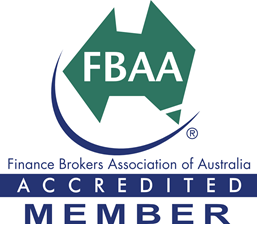 We practice Responsible Lending and for consumer loans we hold ASIC Credit licence (#388794) and hold a membership with the Credit Ombudsman Services Limited (www.cosl.com.au). Easy Settle Finance is a provider and facilitator of Private First Mortgages, Private Second Mortgages, Competitive Low Rate Home Loans and Short Term Funding Solutions. At Easy Settle Finance our experienced team can provide tailored funding solutions to suit your needs. If the banks have said no our team can assist, or, if you are just looking for a competitive home loan without the red tape and on-going fees our team can tailor a solution to suit you.